Mother a beautiful women a replacement of God on Earth. She walks with us from our first step and supports us throughout the life. Show the love, gratitude to your Mother on this Mother's day. 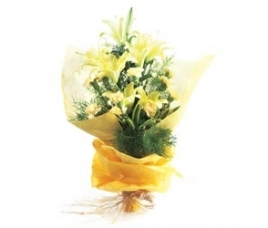 India Online Florist offers you the best Mother's day flowers, gifts and Cakes online. Every Woman loves flowers and your mother too. 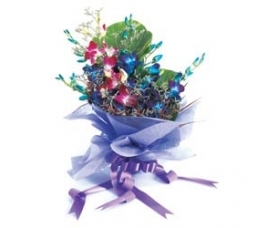 Gift flowers to your mom on Mother's day and wish her HAPPY MOTHERS DAY. 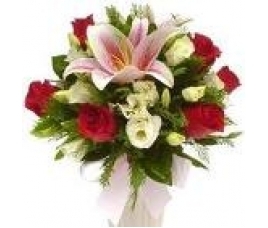 India Online use fresh-cut flowers in making the flower arrangements that stays fresh for a long time. There is a myth that flowers will not remain forever. Yes we agree but they leave a long lasting memory in the recipient's heart. Show your mother that how much love and care you have for her on Mother's day. Not only to your mom, gift flowers to all the Mom's around you and appreciate them for their contribution in your life. It is mandatory to bring smiles in your Mom, Grandma and aunt's face by gifting flowers and saying thanks for supporting you for all these days. Daily you don't find time every day for your mother but this mother's day completely dedicate to your mother to make her happy. First and foremost in the morning convey the mother's day wishes with beautiful flowers arrangements which can put instant smiles on her face. Generally you can't find time at local florist and you find very few options there. 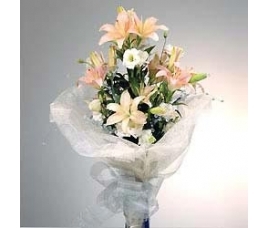 Now-a-days this system has brought online and you can order flowers online from India Online Florist where you can find bundles of options to buy when compared to local florist shop. You can plan for mother's day surprise to your mother by ordering flowers now and schedule the delivery for Mother's day. Such that you witness the surprise smiles in your mom's face while receiving the flowers. 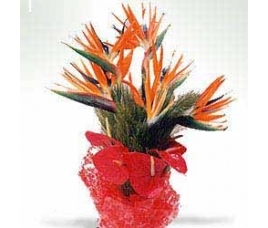 India Online Florists take extraordinary care in preparing the flower arrangements. We only select the fresh cut flowers to prepare the flower bouquets such that they stay fresh for long time even for 4-5 days. You might have a question that we only use seasonal flowers in our bouquets. The answer is NO. We use all kind of flowers not only seasonal flowers in our florist shop. We select the best blooms to create the stunning bouquets. We have an in-house team of expert florists who walk an extra mile in preparing the best arrangements such that the beauty of the flower is enhanced with their designer arrangements. Every bouquet is unique and has its own beauty. The fresh flower bunches are combined with the lush greens and contrasting colors of flowers and wrapped in a color paper then tied with a ribbon bow. It's the most beautiful flower arrangements we have. We do have 3-4 feet of flower baskets and standalone bouquets which are truly unique. 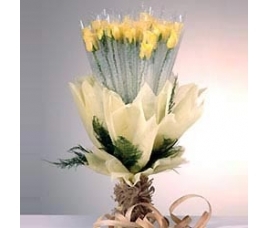 They add more beauty to the occasion or celebration wherever they are. Take a look at our products list and select the eye pleasing flower arrangements for your Mom on this Mother's day. 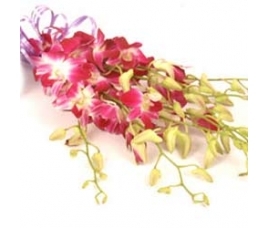 India online florist offers the freedom to choose the flowers from a wide range of products we have. Each arrangement is unique and different from other. You can find the beautiful flower arrangements at affordable costs. Our user-friendly website helps you to easily navigate throughout the website and select the best arrangement that your mom likes. We have secured payment gateways such that you can pay easily. Upon receiving the order we send the order to our expert florists and prepare the exquisite flower arrangements by our expert florists. 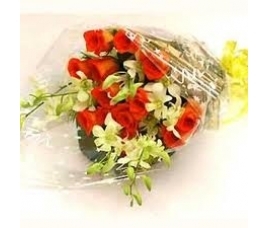 We have a dedicated delivery team who deliver flowers to every corner of India. We are known for our dedication and on-time delivery. Mother's day is such a special day that must be celebrated in every home with most unique Mother's day fresh flower arrangements. The most spectacular flower bunches for mother's day is made up of Roses, Carnations, Daffodils, Lilies, Orchid's, Chrysanthemum's and more. 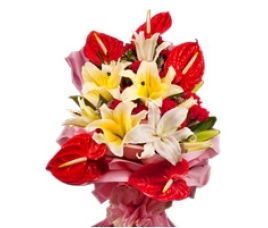 Each flower bunches are covered with lush greens as add-ons to enhance the beauty. Mother's day is the best day to thank your adorable mother for all the sacrifices she undergone to see you happy every time. This is a day that is celebrated all around the world and it's a tribute to all Mother's on this earth. 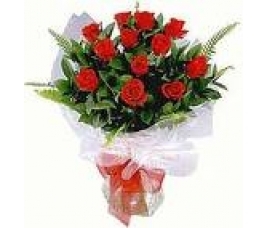 India Online Florist mother's day flowers catches you moms eyes and bring pleasures in her heart. Everyone loves their mother but very few express it. Many of the people couldn't express their emotions in their words. Sending flowers to mom on this mother's day is expressing your unspoken emotions to her and saying thanks for all the things she does to keep you happy. There are the moments in everyone's life that mother stood beside you in all the happy and tough times. She made you sleep while she waking up the whole night. She sometimes with the empty stomach and feed you. She has supported you physically and emotionally too. Do not miss the opportunity to say “Thank You Maa” and reciprocate your feelings for her. She deserves all the respect from you. 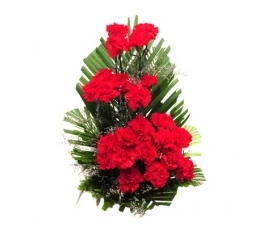 Make this day so memorable with mother's day special flowers made by India Online Florists. Scientifically it has proven that, flowers bring smiles to the face and happiness to the heart. They spread the positive vibes when they're around. Decorate your mother's room and home with the beautiful flowers such that she feels awesome on this day. It gives an unforgettable memory which stays in her heart forever. It also eliminates the pain of all the struggles she has undergone to keep the family happy and safe. Mother is always the most beautiful mother in this world. She is called as Maa, Amma, Aayi in our India and as Mom all over the world. Whatever might be the word by she is an emotional feeling that everyone has felt in their lives. All the darling daughters and loving sons anywhere in India, celebrate this mother's day with your mom and say “Mom We Love You Allot” with Mother's day special flowers made by India Online Florist. 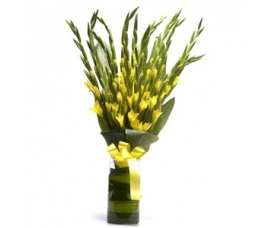 Start ordering the flowers we will deliver them next to your door.